Postcard Action! Dennis Watkins: DROP THE CHARGES! 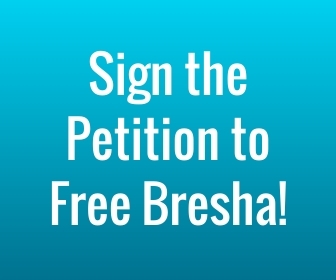 As we draw closer to Bresha Meadows’ scheduled May 22nd trial, we call on supporters to send postcards to Ohio Prosecutor Dennis Watkins urging him to DROP THE CHARGES against Bresha Meadows and free her immediately, as well as seek alternatives to detention for young people in crisis who need our support. I join Warren residents and supporters nationwide in urging you to drop the charges against Bresha Meadows, a child survivor of domestic violence. Bresha was just 14 when she defended her life from her abusive father. Domestic violence presents profound dangers for children, especially girls who are more likely to be impacted by violence. All of Bresha’s previous attempts to escape the violence were blocked by multiple systems, including Family Services and the police, that failed to support her. Prosecuting her is just one more failure to support this young girl’s life. Please help stop the cycle of abuse that devastates so many victims and their families. Punishing and retraumatizing Bresha through continued detention and prosecution serves no one. Please drop all charges and release Bresha so she can receive the support she needs, aided by a national network of support services. We also urge you to proactively work with domestic violence and youth advocacy organizations to develop alternatives to detention for young people who are in crisis and need our support. 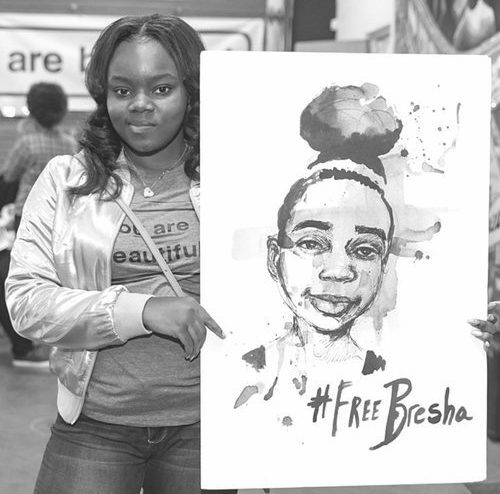 #FreeBresha Court Actions – Local & Everywhere!